The Salvation Army, an international movement, is an evangelical part of the universal Christian church. Its message is based on the Bible. Its ministry is motivated by the love of GOD. Its mission is to preach the gospel of Jesus Christ and to meet the human needs in His name without discrimination. To provide effective social and spiritual services to the greater Oshkosh area in collaboration with community partners. The Salvation Army Oshkosh services most of Winnebago County including Oshkosh, Pickett, Omro, Butte des Morts and Winneconne. We manage a food pantry that provided emergency food support to nearly one in ten households in Oshkosh last year. The Oshkosh corps also served approximately 50,000 meals to those in need and administers important seasonal holiday programs like Angel Tree, Toys for Tots and Coats for Kids. It requires approximately 14,000 hours of volunteer time each year to support Salvation Army Oshkosh programming for the local community. A Christian-based international church and charitable organization, the Salvation Army is the largest non-governmental social services provider in the United States. Approximately one American is assisted by the Salvation Army every second. The Salvation Army provides more assistance to children than any other charity in the world. The Army is regarded as one of the best-managed charities with 82 cents out of every dollar donated going to direct services to those in need. 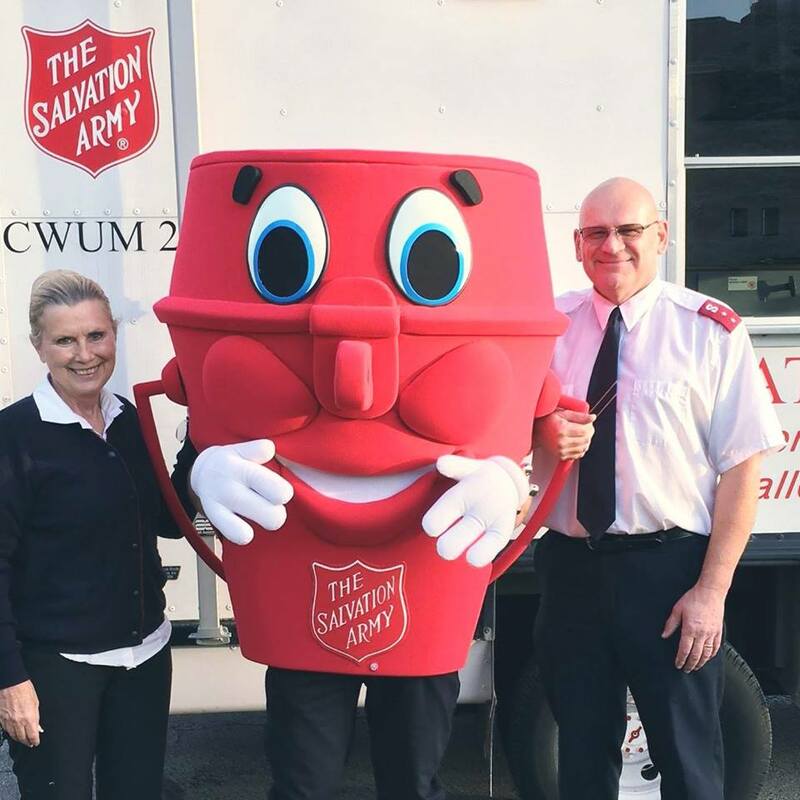 Captains Don and Vicky Karl have led The Salvation Army Oshkosh since 2008. Have you ever asked . . . Can I make a difference? Look around - do you see faces filled with fear and despair, lost hope, no purpose? Do you ever wonder what can you do? Can anyone really make a difference? The answer is yes! For over 100 years countless individuals have relied on The Salvation Army to be a safe haven in the midst of strife. We're committed to touching lives and conveying hope. As Christ's servants, The Salvation Army marches into battle against poverty, fear, violence, abandonment, homelessness, addictions and many more enemies of mankind. Whether it's providing boots and warm clothes to an impoverished child in the winter months, reuniting a family torn apart by addictions or providing a meal to a person living on the streets, our mission is straightforward and the same, to meet human need in His name without discrimination. Board members to the Salvation Army Oshkosh are community leaders who want to guide The Salvation Army Oshkosh toward its core vision of working collaboratively with community partners to build whole, strong families. A vibrant and effective community of faith. A civil and just society. The Salvation Army Oshkosh draws board members from all walks of life- doctors, dentists, bankers, executives, small business leaders, etc.- who want to work together in fellowship to assist those in need and to bring about positive results for the Greater Oshkosh community.